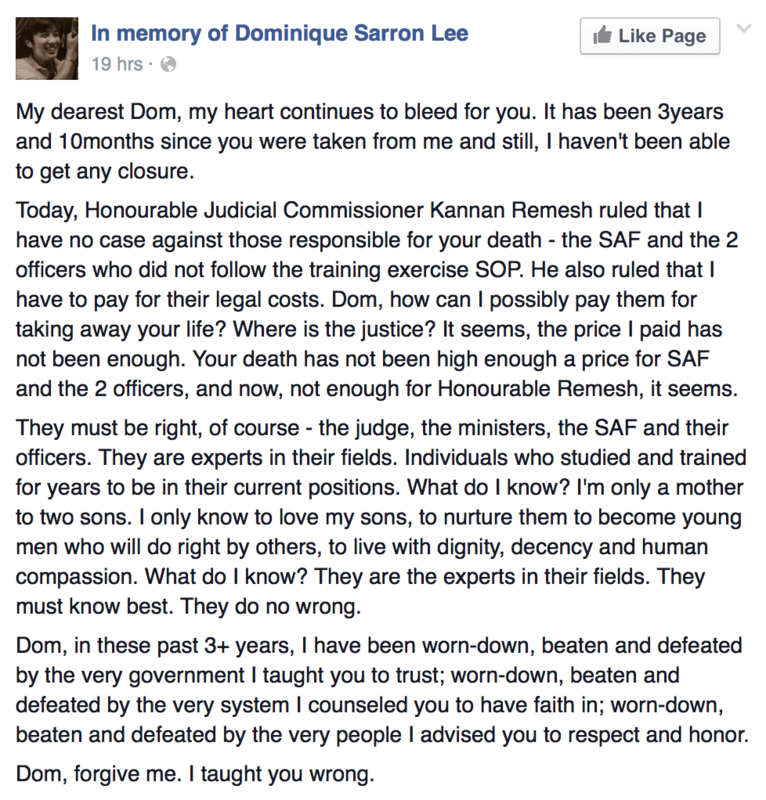 The High Court struck out a lawsuit taken against them for the death of Dominique Sarron Lee by his Mother. Private Lee had been serving his national service and on April 17, 2012, Pte Lee suffered breathing difficulties and passed out during an exercise in Lim Chu Kang, which involved the use of six smoke grenades. The family of Pte Lee had also taken up an unsuccessful suit against his Platoon Commander as well as the Chief Safety Officer for negligence, leaving her to pay for their legal costs as well. In a heartfelt open letter to her son’s memory she spoke about how she had imparted the wrong values to her late son. Words only a mother could say to her child.